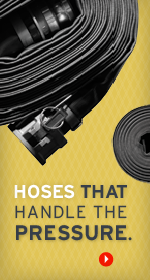 Apache has a full selection of chemical transfer hose including: Teflon®, UHMW, Modified X-link, composite, chlorine transfer, specialty stainless steel braided hoses, and special application hoses. We also offer Smart-Hose™ assemblies. Smart-Hose™ assemblies are the only industrial hose assembly designed with an internal valving system. The patented safety system features a unique design that eliminates the potential for catastrophic consequences resulting from the uncontrolled release of product due to coupling ejection, hose stretching to an unsafe condition and/or hose separation. The modified XLPE chemical hose allows for the transfer of 950 basic chemicals that are the building blocks for numerous chemicals used in a variety of industries. Packing: Rope like material for sealing shafts-valves etc.